Big Ideas presents author and book reviewer Robert Adams as he discusses the novel The Elegance of the Hedgehog by Muriel Barbery. Bill Moyers talks with one of the world's most successful investors George Soros about the global capital meltdown, how he saw it coming, and what can be done now. And, Bill Moyers checks in with JOURNAl contributor and director of the Annenberg Public Policy Center Kathleen Hall Jamieson on how dirty politics will play out in this final stretch to the election. This free course provided an introduction to studying Social Sciences. It took you through a series of exercises designed to develop your approach to study and learning at a distance, and helped to improve your confidence as an independent learner. Sonnet 130-- rude or reality? This lesson focuses on Shakespeare's "Sonnet 130." 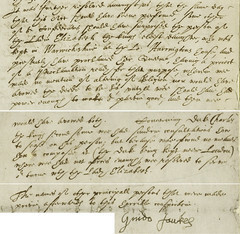 It contains a copy of the sonnet, questions to use when discussing and analyzing the sonnet, and a creative component. This lesson has modifications for Novice Low Limited English Proficient students. Learn more about R&B Vocals: http://bit.ly/PT3ihN Course co-authors and instructors Gabrielle Goodman and Jeff Ramsey discuss their new voice course, R&B Vocals. Learn the vocal techniques of the R&B greats, including Steve Wonder, Aretha Franklin, Ray Charles, Marvin Gaye, and Beyonce. In this course, you'll gain the necessary skills to sing R&B in an authentic way, including proper phrasing, riffing, shouting, scale patterns, rhythmic articulation and much more.